Steam locomotive number 11 was constructed in 1920 by the Cooke Works of the American Locomotive Company (Alco) in Paterson, New Jersey. It is a “2‑6‑0” or “Mogul” type and was one of 54 engines of four different wheel arrangements built between 1920 and 1925 intended for export to Cuba and use in that country’s sugar cane fields. 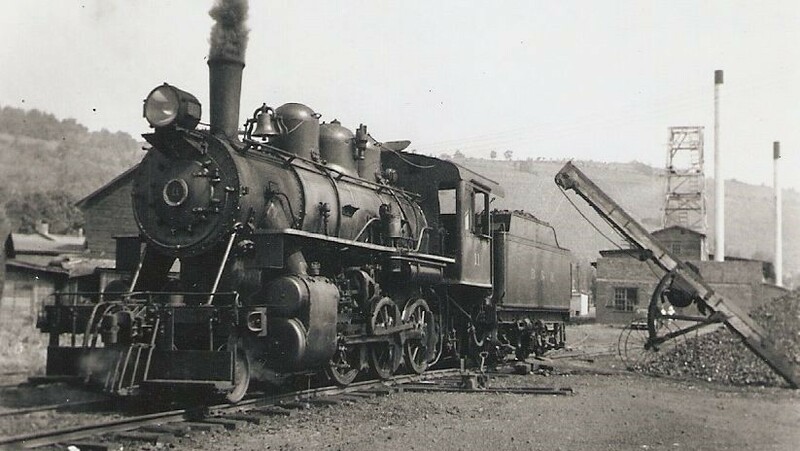 Building locomotives for stock was not common practice and fluctuations in world sugar markets post World War I unexpectedly reduced demand for these engines, leaving a number of them unsold on the factory floor. 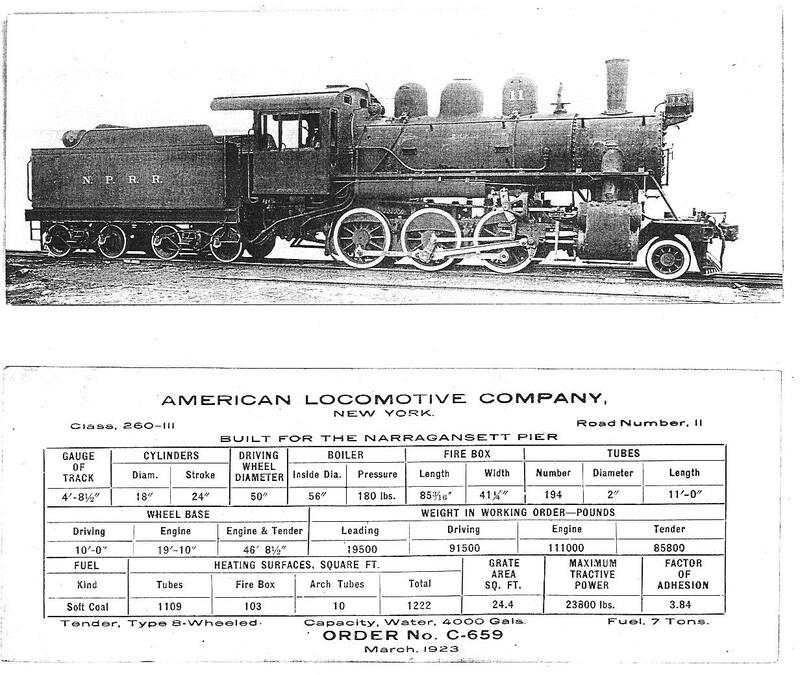 Alco turned to the domestic short line railroad market but it was not until 1923 that the tiny Narragansett Pier Railroad in Peace Dale, Rhode Island, purchased the engine, assigned it number “11”, and put it to work on their eight and a half mile railroad. Number 11’s tenure in Rhode Island lasted fourteen years. It was replaced with a gas-mechanical locomotive in 1937 and sold to the Bath & Hammondsport Railroad in Hammondsport, New York. The B&H, operating nine miles between its namesake communities, primarily served the regions noted wine producers which gave rise to the railroad’s nickname, “The Champagne Trail”. 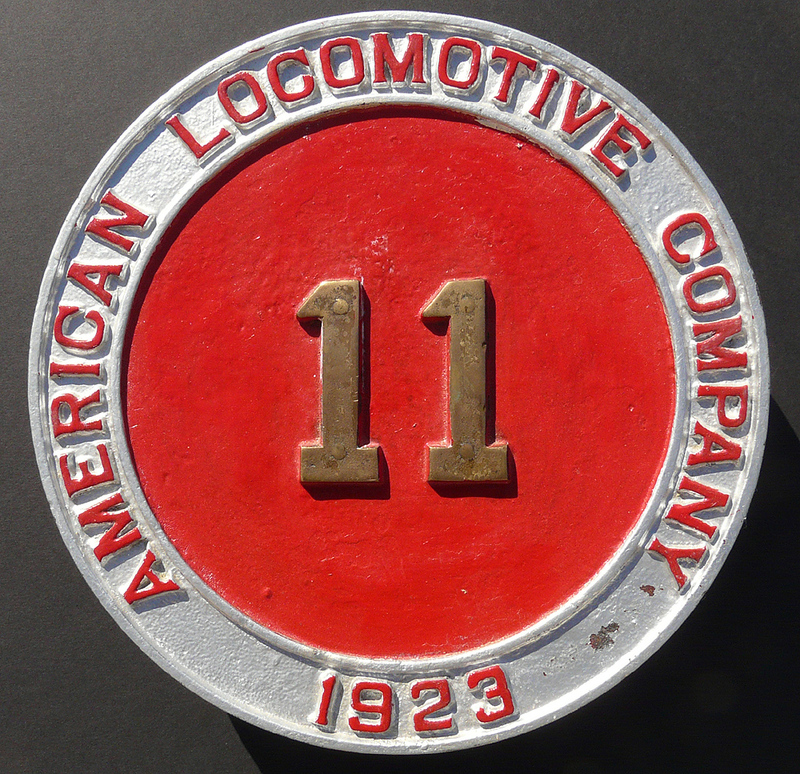 Through its working career at both the NP Railroad and the B&H Railroad, engine 11 was a living symbol of the great American tradition of small independent railroads connecting local communities with the national rail network. Weighing a mere 55 ½ tons, its modest proportions were typical of light short line locomotives all across the country in the age of steam power. The Bath & Hammondsport Railroad retired number 11 in 1949 in favor of diesel power and the engine, an object of some sentimental attachment, was carefully stored in the railroad’s enginehouse until sold in 1955 to Dr. Stanley A. Groman for his “Rail City” museum in Sandy Pond, NY. Dr. Groman was a pioneer railroad preservationist and for many years the locomotive operated on his mile-long circle of track near the shore of Lake Ontario. But the eventual construction of interstate highways siphoned visitors away and Rail City, like many roadside attractions of the 1950s, withered and eventually closed. Around 1977 engine 11 was sold to another collector, Dr. John P. Miller, who had earlier purchased the Narragansett Pier Railroad. Thus it was that the locomotive returned to the enginehouse at Peace Dale, Rhode Island. Some disassembly and inspection work was done but Dr. Miller never completed the overhaul and number 11 was sold again, in 1981, to the Middletown & New Jersey Railroad of Middletown, NY. Pierre Rasmussen, president of the M&NJ, was a fan of steam engines and thought number 11 would be an ideal addition to his short line. The locomotive was stored inside the M&NJ enginehouse, protected from the weather, but no further repairs were ever done. With sale of the railroad pending following Pierre Rasmussen’s death in 2004, ownership of number 11 transferred to James Wright, a business partner in the M&NJ. Wright, in turn, sold the engine to Alan Maples, president of the Everett Railroad, in 2006. 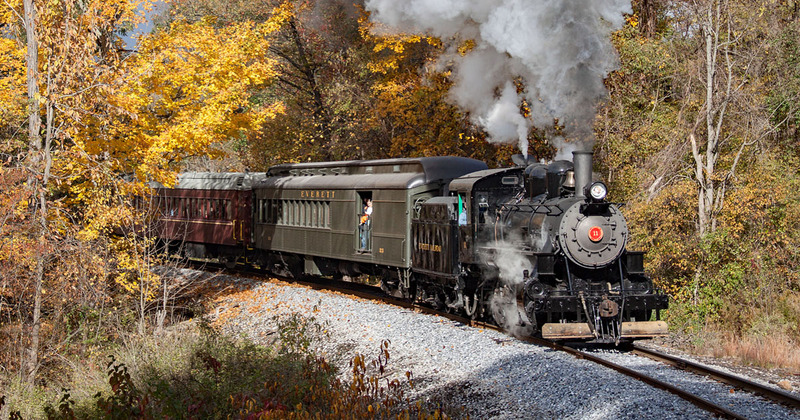 Upon Alan Maples’ acquisition of Number 11, it was moved to the Western Maryland Scenic Railroad’s shops in Ridgeley, West Virginia for heavy repairs. The bulk of these repairs were finished in March 2015, and the locomotive was trucked to the Everett Railroad’s shops in Claysburg, PA where her restoration was completed. In fall of 2015, the locomotive returned to service for the first time since the early 1970s and will serve as the railroad’s primary excursion power going forward. Check out our photo gallery for photos of Number 11 throughout her history, including restoration.